Maruti Suzuki introduced the stylish, aggressive and sporty 'Stingray'. With this, the Company has expanded its portfolio and enriched it to meet aspirations of young India. package. These features include expressive projector headlamps and stylish reflector grille to name some. The expressive projector lamps are first-of-its-kind on a car in this class of vehicles. Stingray will be available in Lxi and Vxi variants (ABS and Driver Airbag are optional in Vxi). "With Stingray, we carry forward our focus to make our best sellers even more attractive. The aggressively designed Stingray reinforces the fact that compact cars that are high on utility and reliability can also be premium and stylish. 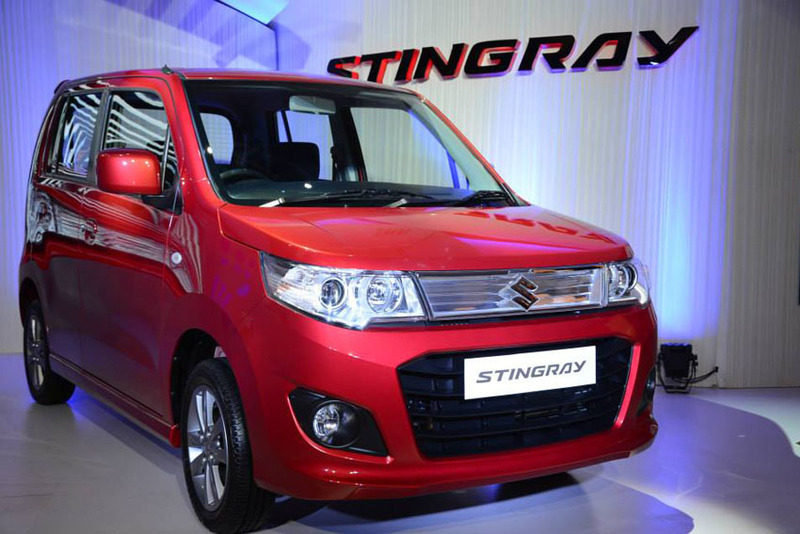 For the younger customers who aspire for a bold and aggressively styled car, the Stingray will be a delightful choice," said Kenichi Ayukawa, Managing Director & CEO, Maruti Suzuki India Limited. The bold and aggressive front fascia, sporty side skirting, B-pillar black-out strip and stylish rear spoiler add character to the Stingray. Enriching it further are the gunmetal grey coloured alloy-wheels, chrome plated tail lamps and chrome back-door garnish with 'Stingray' prominently embossed on it. All-black ambience with premium upholstery lends richness and sophistication to the interiors of Stingray. The designers have played with the piano black finish to add alight reflecting glassy premiumness. Smart use of chrome on door handles and AC louvers adds a dash of luxury to the interiors. The Stingray blue themed instrument cluster is all new with multi information display that shows Instant and Average fuel economy, distance to empty etc. The leather wrap steering wheel and steering mounted audio controls, also usually associated with premium models, will delight the Stingray buyers (VXi option). Stingray is powered by the highly acclaimed 998 cc three-cylinder K-series engine. The K-10 engine on Stingray delivers a power of 68 ps @ 6,200 rpm and a high torque of 90 nm @ 3,500 rpm. The Stingray will return a fuel efficiency of 20.51 kmpl of petrol (Certified as per rule 115 of CMVR1989). The Stingray is OBD-II compliant and also free from hazardous substances to enable recycling.